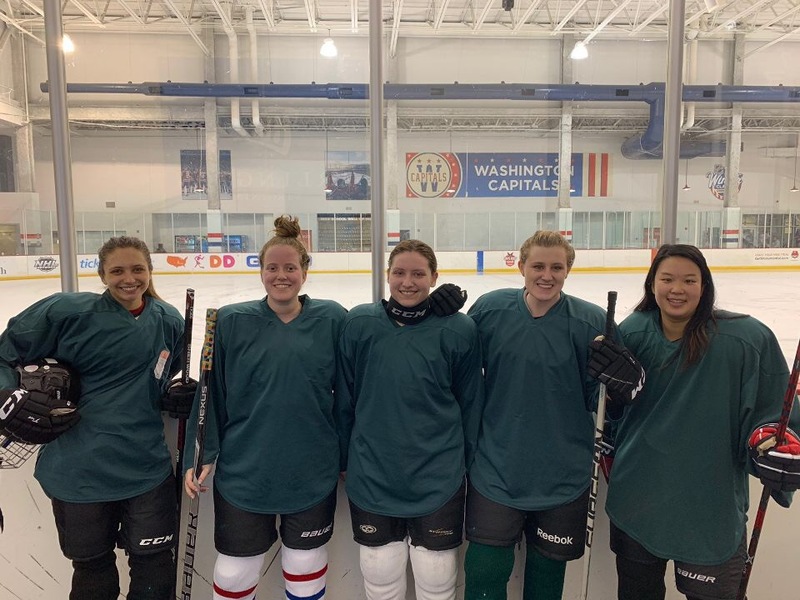 When she arrived at Mason, sophomore Ali Purvis noticed something off about the campus: There was no Women’s Ice Hockey team. Realizing that, she knew she had to take charge. 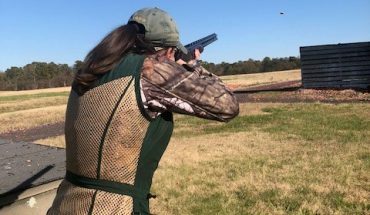 Fast-forward over a year later, and Purvis is enjoying both the program she founded and the growth it has seen since the process began. The team started practicing this semester at Loudoun Ice Centre in a training arena about half the size of a regular ice rink. 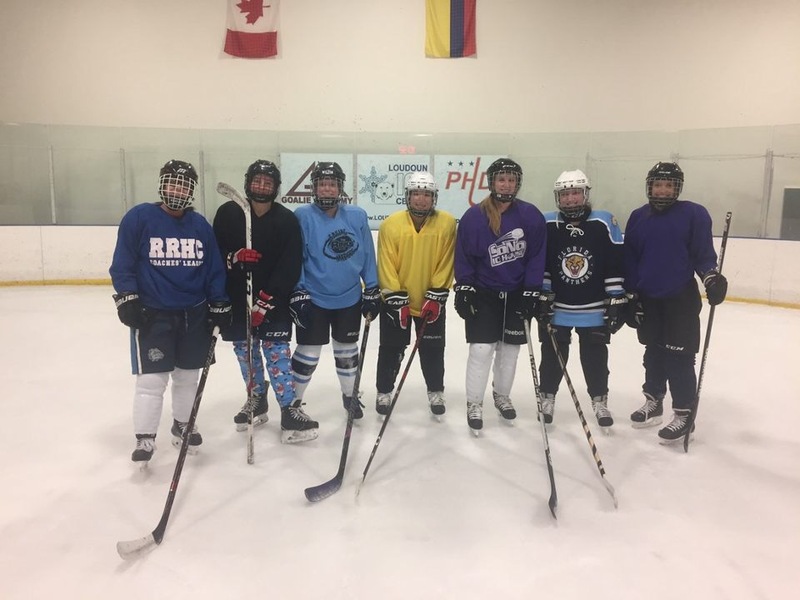 According to Purvis, Women’s Club Ice Hockey does skating drills, passing drills and more when at practice. She even found a coach to help the team grow throughout the season. 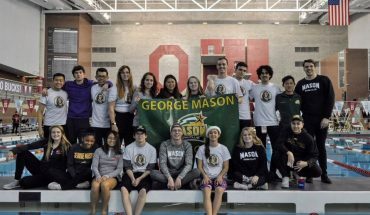 Coach Carson Evans is a volunteer at Mason who leads the practices and helps the girls get ready for more competition. When he is not able to be at practice, the players step up to lead one another in the advancement of their skills. Practices are not the only thing important to these hockey players. 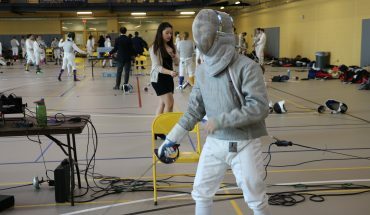 The women faced off against George Washington University in a scrimmage recently. Purvis explained that GW’s team has been an added plus to the women’s hockey community here at Mason. “They’ve been very nice. … It’s easy to organize things with them,” she said. Not only are there a few steps to take, per the guidelines of the university, but anyone interested in playing hockey for the team has to buy their own equipment as well. Chloe Pignano, a sophomore who is also on the cheer team, went thrifting to save money on her hockey gear — which can get expensive. “I got everything at Goodwill … including my stick,” Pignano said. Though the thifting was a success, Pignano had to be careful of her helmet expiring. “I took mine apart and the date was older than me,” she joked. When asked why people should join the team, Purvis explained how enjoyable it is to be around the other players. “You’ll meet new people that you wouldn’t ever know, and it’s just so fun—it’s a good stress reliever from school stuff,” she said. Though the hockey team clearly has fun off the ice, its players know how to work together when facing competition. Their scrimmage against GW, though tiring due to their lack of substitutes, went well. According to both Purvis and Pignano, the team was evenly matched against GW’s players despite having less people. The laughter between the two while talking about how the scrimmage conveyed how the game was both fun and entertaining. “That was the most fun I had all year,” Pignano explained. “My favorite part was ending up in the goal—I got slammed in and I was like, ‘Whoa.’” She also expressed amazement about how a fellow teammate succeeded in the scrimmage when put in goal for the first time. The goofier moments the team experienced because of the scrimmage prompted Purvis and Pignano to laugh even harder. “The scrimmage was fun. She made a compilation video … of all the falls for our team,” Purvis said while gesturing toward Pignano. 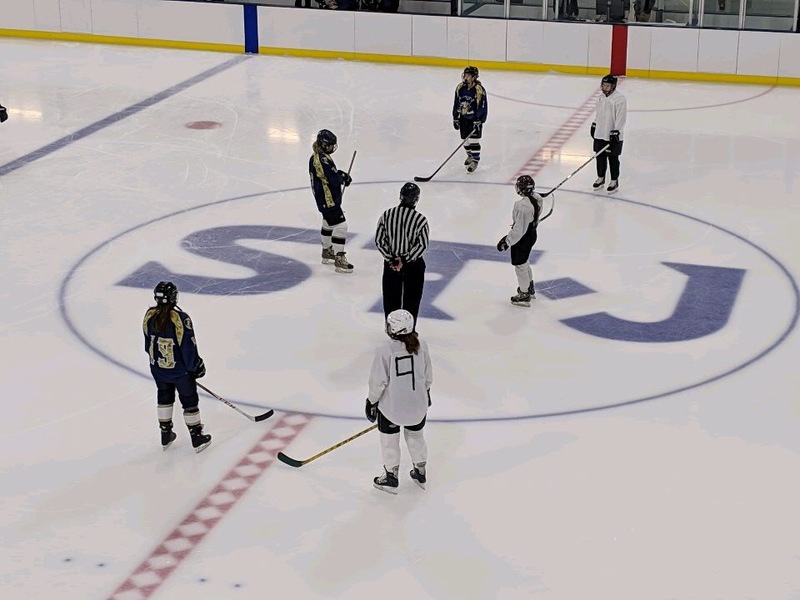 The video was set to Evanescence’s “Bring Me To Life.” The team will face GW more in the future, as Purvis and her fellow players will be joining the Division III Women’s League of the Delaware Valley Collegiate Hockey Conference. Purvis hopes to have about 15-20 dedicated players next year, enough to run practices and play games as efficiently as possible. Though being successful on the ice is a goal for the team in the future, there is still fun to be had. 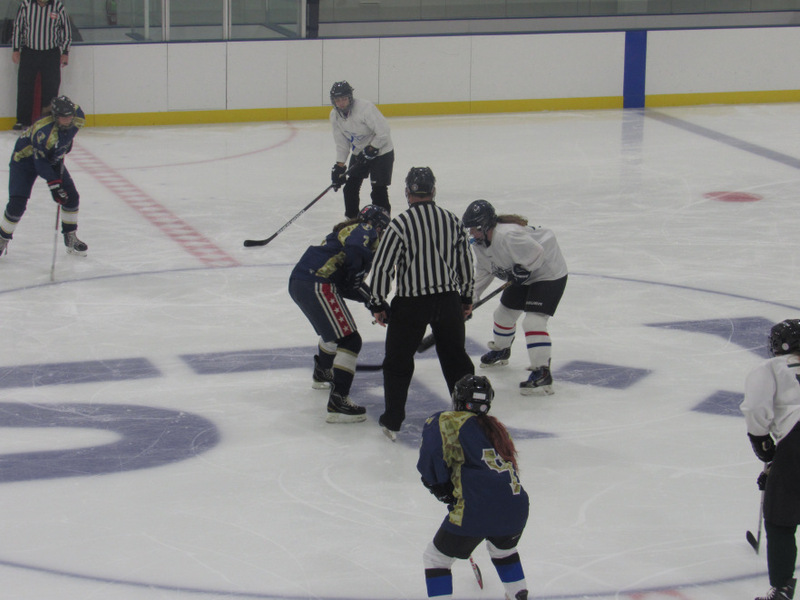 If you are looking to have a good time in a team sport, then the Women’s Club Ice Hockey is the place for you. Anyone interested in being a part of the team can email wgmuicehockey@gmail.com for more information.